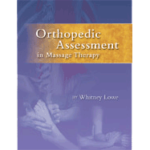 * Required: Orthopedic Assessment in Massage Therapy, by Whitney Lowe, $31.95 plus shipping. See registration letter for discount coupon code. (2 and 3 Course Bundles, and the Professional include text & shipping for free, consider these for more savings). Courses apply to the NCBTMB Clinical Rehabilitative Massage Specialty Certificate and Lowe’s Orthopedic Massage Certificate. Get empowered with the therapeutic techniques and skills needed for successful, advanced treatment. Today’s clients seek massage treatment for all sorts of complaints, including those from sports, hobbies, daily living, and work related activities. Face these challenges with ease and savvy with this innovative, yet convenient and affordable training. Benefit from the educational value for your money with this program, and learn skills that will truly lead to increased success in your practice. Enjoy massage continuing education that is convenient and affordable, but also gives you lifelong skills immediately valuable to your clients. Requires: Whitney Lowe’s Orthopedic Assessment in Massage Therapy text, see registration letter after purchase for order information and discounts. Work directly with Whitney Lowe in these career-changing Clinical & Orthopedic massage online courses. Why Lowe’s Program? — Lowe’s Orthopedic Massage program is an innovative, comprehensive massage continuing education program. It is taught by Whitney Lowe, and offers advanced, science-based clinical and orthopedic massage. The program provides you with the credentials your clients, employer, and insurance companies appreciate, while giving you the training you need for treating conditions clients are seeking effective solutions for today. Content is focused on the cognitive, knowledge-based, and in-depth study that Lowe believes is the foundation for high-quality, advanced massage treatment of complex conditions. What Content is Taught? — Expand your core skills and knowledge about advanced pain and injury treatment! Core content includes a diversity of highly effective treatment techniques and all of the knowledge you will need to use them most appropriately and effectively. Founding all treatment choices should be a solid understanding of what is happening for your client – this is assessment and Lowe is renowned for his ability to simplify it and make it accessible. Plus, you get anatomy and kinesiology reviews, biomechanics lessons, and treatment planning strategies. 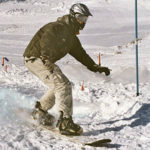 In addition, there are videos of treatment and assessment videos which you can access anytime with no expiration date. Lowe is recognized as one the industry’s most accessible teachers. These courses allow anyone, anywhere to work with Lowe and benefit from his 3 decades of advanced massage expertise and savvy as an instructor. Not only do you benefit from his unique expertise in massage education methods, but you work directly with him. Communicating with him, asking questions, and getting personalized feedback in your learning is an extraordinary opportunity. Not even a workshop offers this kind of one-on-one interaction with a leading educator in the profession. Lowe’s skilled, but accessible, teaching and advanced educational methods, along with his extensive expertise and history in treating pain and injuries with soft-tissue and massage techniques, are all brought together in this unique educational opportunity. Course Features: progressive, quality, yet simple, instructional design and technology that will significantly improve your learning outcomes. Robust course platform allows Lowe to employ educational methods and activities that ensure you fully integrate the education. Courses are online, applied learning designs that are easy to navigate, efficient, and an effective way for you to absorb and retain your learning. What is Unique about Lowe’s Online Courses? — These are not your ordinary massage online courses. These dynamic and interactive courses feature applied learning activities and exercises, giving you a deeper understanding, more thorough knowledge, and allowing you to retain far more content over time. No other online course offers the depth and breadth of these courses. Yet, they are amazingly accessible and easy to follow. Free copy of Whitney Lowe’s Orthopedic Assessment in Massage Therapy text, plus free shipping (one free copy only). Please email us for your free book. Free shipping only applies to contiguous United States. Courses apply toward the Clinical Rehabilitative Massage Specialty Certificate and Lowe’s Orthopedic Massage Certificate! Verification of continuing education units is available for download at the end of each course. 18 CEs per course. Certificate in Orthopedic Massage – awarded upon completion of all 7 (seven) online courses. 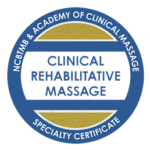 Any and all courses may be applied toward the NCBTMB Clinical Rehabilitative Massage Specialty Certificate. Required text: Lowe’s Orthopedic Assessment in Massage Therapy text, see registration letter after purchase for order information and discounts (2 and 3 Course Bundles, and the Professional include this text and shipping free of charge). Full refunds may be provided if course(s) have not been accessed. In cases in which course interaction is minimal, course cost may be applied to another product or workshop. Please inquire with the staff office for options we can provide in your case. Engagement in the course that indicates use, will result in no refund. Content, design, layout, technical design, instructional design methods, and all text, descriptions, questions, course activities, case studies, assignments, graphics, pictures, forms, including paraphrased or altered versions of any text or content regardless of amount, is protected by United States copyright laws, particularly copyright law pertaining to online course, instruction, and development, as well as other copyright laws as applicable. Copyright laws for online instructional works do not have the ‘free’ or ‘personal’ use exceptions as book publishing. Please make sure that you are familiar with United States copyright laws. Academy of Clinical Massage retains the right to pursue legal remedies for illegal uses of any part, regardless of amount, of its works. All elements of this work, including but not limited to, images, altered or not, adapted or not, text, paraphrased or not, any content, including design elements, style, and other elements, in these works are explicitly prohibited from use in public or private schools, libraries, continuing education of any kind, or any kind of public display, educational or not, as expressed in US copyright law pertaining to online educational works. Affiliate Program Option for Schools & Practitioners: Professionals, educators, or schools may become Affiliate Providers, please contact Academy staff to inquire about integrating the program into your curriculum. You have several purchasing options. You may order one course at a time, a bundle of 2 or 3, or the full package. Apply previously taken qualifying workshops or online courses to the Certificates – its easy. Contact us for more information. * Instructions: Download Registration letter upon purchase.